Relocation buyers are out there. Many companies are still hiring throughout the holidays and need their new employees in their new positions as soon as possible, this means that families can already be pooling in your area to settle down near work. For your this translates to a hot market and less time of waiting to finally get your home sold. 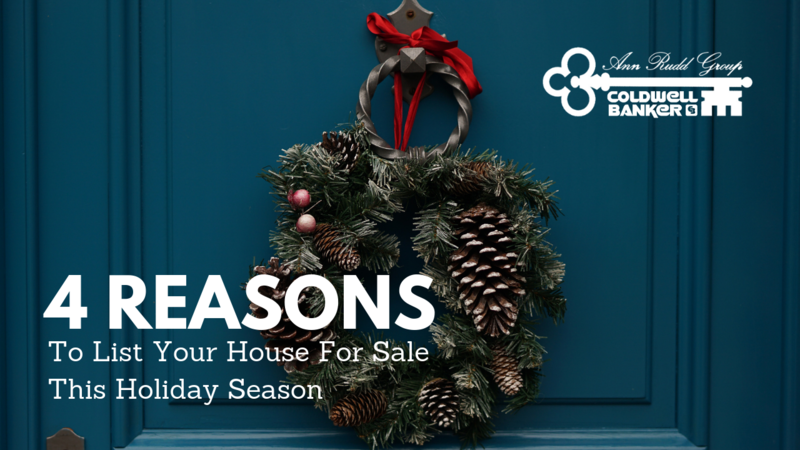 Purchasers who are looking for homes during the holidays are serious buyers and are ready to buy now. Just like you, buyers would also like to be with family in the holiday rather than moving boxes, which makes them time sensitive. Some buyers are those unable to find their dream homes from the busy spring and summer months, which means they are already kept from their plans. If they are looking to buy, they mean it – and they mean now. There is minimal competition for you as a seller right now. Inventory of homes for sale traditionally slows in the late fall, and early winter. Since there are less sellers over the holiday, you can be more in control not only on showing schedules, sometimes even on the transaction fees and costs. Homes show better when decorated for the holidays. Who doesn’t like holidays? With the holiday season going on, you can show your home with creativity and timely seasonal decorations. Be in season in fall, or even get ready for Christmas with your pretty tree near your cozy sitting area. This can get you more buyers interested with your lovely living space. Waiting until after the holidays to sell your home may not make that much sense at all. If you’re interested in weighing your options in selling your home,let’s get together and discuss your best interest, just ring me a call at 704-617-0847.